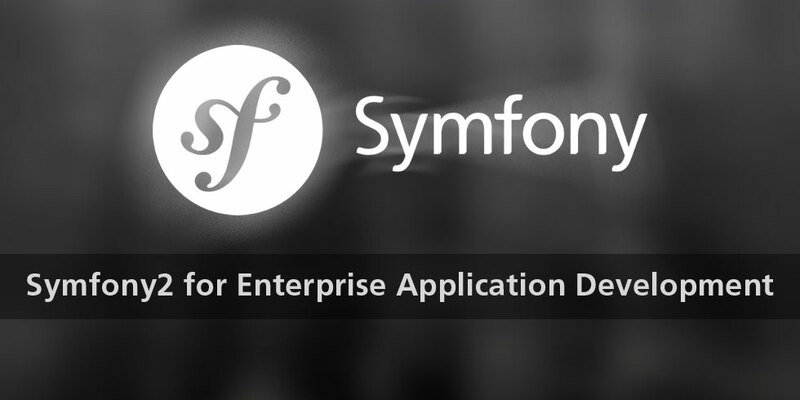 Why Choose Symfony2 Framework for Enterprise App Development? Symfony2 is a popular PHP framework to build robust enterprise applications. It is an open source framework, gradually gaining popularity for enterprise application development due to its incredible features. It has great documentation available and its libraries deliver one of the best standardized set of tools that can be used across various projects. Applications built on Symfony2 have the capability to fulfill various needs of the enterprise domain. There is a plethora of reasons to choose this framework for building enterprise applications. Symfony2 can easily support the increasing number of enterprise users. A business can start with 100 users and gradually expand to say 100,000 users. Symfony2 has built-in caching of templates and configuration files including its own caching component to handle cache control. It properly manages role-based ACLs, uses PHP namespaces efficiently and handles dependency effectively. All of these make the application scalable, thus allowing you to grow along with your growing needs. Symfony2 can be easily used to create robust web applications. It is empowered by MVC components, helping you separate logic from its defined user interface to bring the desired changes. This also makes testing easier and much faster. Symfony2 is a set of powerful, highly specialized components assisting developers in architecting robust applications. Developers have the flexibility to pull the pieces apart if they don’t need them or replace them easily in case of any specific requirements. This is possible due to the modular design of Symfony2, thus assisting in building custom enterprise applications. Symfony2 has various innovative features that help developers to build flexible enterprise applications. It also provides great performance parameters and reusable components. Some of its ingenious features include dependency injection being derived from Java. Its web debug toolbar has also been a very helpful tool for developers. Many popular websites are built on this framework like Snippet, Askeet, Yahoo bookmark, Limetracker and many more. Enterprise applications should allow seamless exchange of information between various systems. Symfony2 supports this, thus meeting the varied needs of an enterprise. It allows using certain of its software building blocks like translation management, dependency injector, form management and more in parts without any requirement of using the framework in its entirety. It has interoperable features and uses external software building blocks like Swiftmailer. Symfony2 is easier to maintain and thus leads to lower performance overheads. Symfony2 is an amazing framework to build various kinds of powerful and customized enterprise applications, allowing developers’ full control over the configuration and making them tailor made for an enterprise. Symfony2 consists of various tools to help developers test, debug and document development process to cater to the unique needs of an enterprise. Symfony2 enables building robust enterprise applications, providing developers full control over the development process. They can easily have control over the directory structure and also over foreign libraries. Symfony2 reduces the development time and automates the common tasks of the developers, allowing them to focus on various important aspects of web applications. There’s an official documentation available for Symfony2, which is quite detailed and easily understandable. Developers can easily refer to books available like getting started, cookbook and reference manual. It is also backed by a dedicated active community, helping developers build enterprise applications seamlessly. Symony2 is a well-organized, simple and developer-friendly framework to build powerful enterprise applications, supported by detailed documentation, useful plug-ins and much more. It is useful in building top-notch enterprise level applications, providing easy customization options to cater to the specific requirements of an enterprise! If you are looking to take your enterprise to the next level through Symfony2 web applications, you can fully leverage the benefits of our Symfony2 development services! Our best-of-the-breed Symfony2 enterprise applications tailor-made to fit your needs will help you to increase your bottom-line and improve ROI! Contact us through info@semaphore-software.com to connect to our Symfony2 developers having expertise in delivering bespoke enterprise applications!